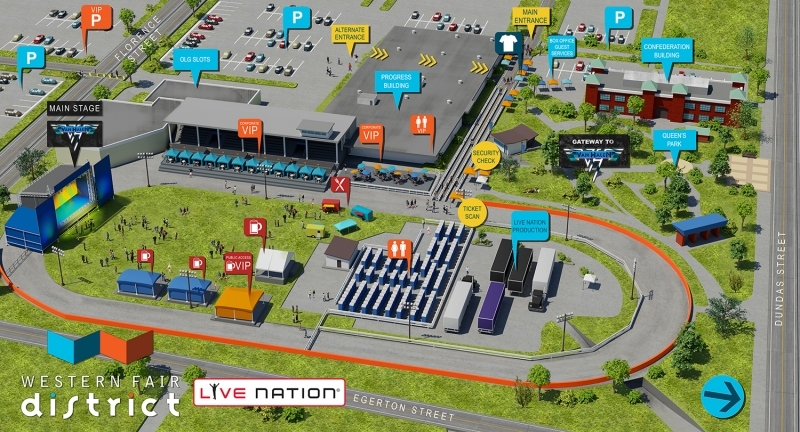 Over this past 2 summers I had the opportunity to create and maintain 2 3D Graphics maps for the Western District Fair, located in London Ontario. 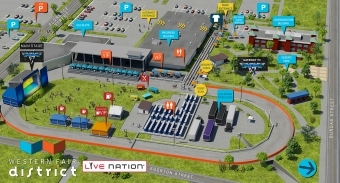 The goal of the first map was to promote the Trackside Music Festival - a popular country music festival that happens each year at the Western District Fair grounds. 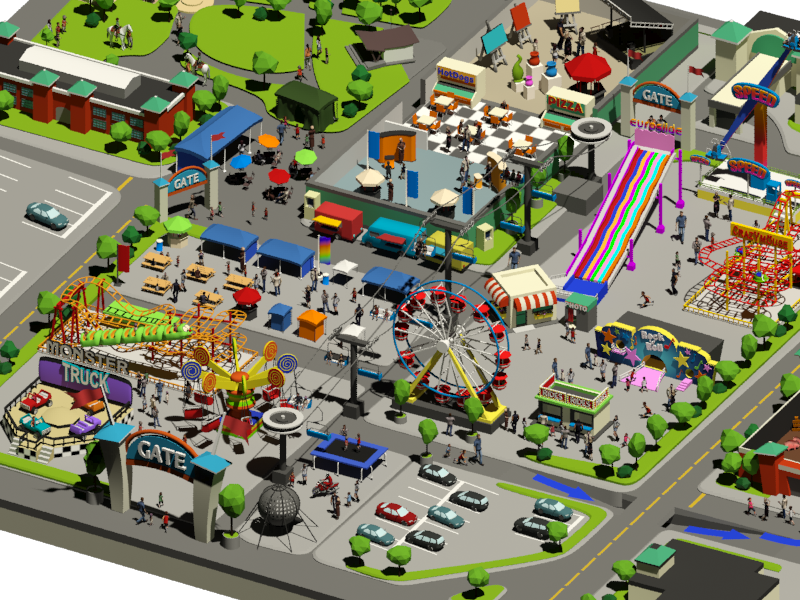 The second map was created to promote the annual fair that takes place in September. 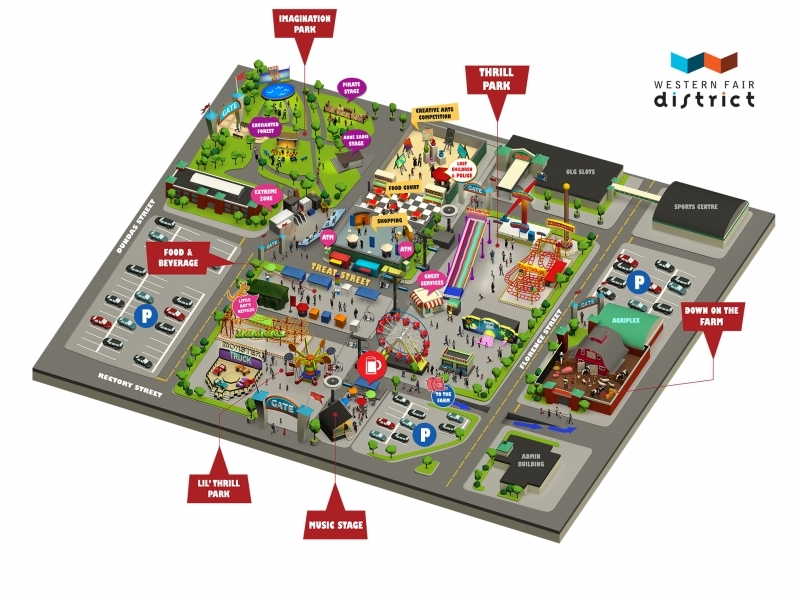 The map would also be available on site to guide customers to various attractions. Working with the folks at Western District Fair is always a treat - they have a clear vision for their events and they are super organized which is a huge plus when working on any project. "We hired Sandra for ongoing 3D Map Illustrations because she is reliable, fast and generally awesome. She communicates well and completed our last minute requests for map changes quickly. We would recommend her 3D Illustration services to anyone looking for unique event maps and promos." Here are close up and in progress images to show the process of creating models in 3D software.